Welcome to Carnival Fantasy. The ship was made to turn fantasies into realities. All guests onboard Carnival Fantasy are surprised to find fantasies around every corner. You could be the next guest. Carnival Fantasy’s water park is an attractive one. 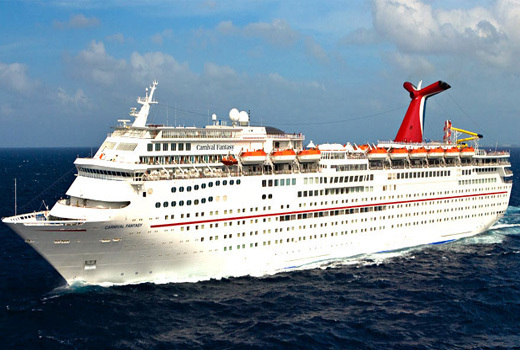 Whether you are a kid or an adult, looking for some twisty or splashy fun then Carnival Fantasy is the right ship for you. Its curves are fantastic for sure. Carnival Fantasy is a family ship, but everyone needs a break. So, Carnival Fantasy has Serenity Adults-Only Retreat. Kids can send their parents over. Parents will be kept (un)busy while kids have fun as well. Carnival Fantasy is not just a big, floating bundle of jubilation. The ship has skills and has a piano bar where guests can join for a duet. Carnival Fantasy will win you over with its piano music. The Carnival Fantasy is today fitted with all the modern conveniences, and once aboard, you’ll not only see it, but you’ll hear it for yourself. Listen for the “ahh” of relaxation at Serenity Adult-Only Retreat, the “ahhhhh” of extreme relaxation at Spa Carnival… but don’t miss the “aaaaaaaaah! !” of thrills at Carnival WaterWorks, the onboard water park featuring Twister Waterslide and Splash Park! Speaking of modern conveniences, Carnival Fantasy has some of the latest food and drink spots, located right where you want them: alfresco. It doesn’t end there either. When was the last time you spent an evening at a piano bar themed like ancient Egypt? You’ll find all this — and more — when you join the long list of delighted folks who’ve enjoyed a vacation on Carnival Fantasy.